Jason B. Gile, D.D.S., M.D. Jason B. Gile, D.D.S. M.D was born in Hawaii, and grew up in Washington State. He attended Central Washington University receiving a Bachelor of Arts in Biology. After his undergraduate education, he played soccer professionally. Dr. Gile attended the University of Washington School of Dentistry in Seattle where he graduated at the top of his class and was inducted into the OKU Dental Honor Society. He then completed a 6 year residency in full scope Oral and Maxillofacial Surgery at Loma Linda University in Loma Linda, California. While at Loma Linda, Dr. Gile attained his medical degree and completed a one year general surgery internship. Dr. Gile is well trained in full scope Oral and Maxillofacial Surgery with an increased interest and experience in advanced bone grafting techniques, dental implants, orthognathic surgery, and wisdom teeth removal. 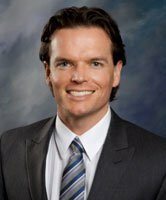 Dr. Gile enjoys spending time with his wife and his sons and can be found surfing, cycling, and competing in triathlons in his spare time. Dr. Gile is affiliated with many philanthropic and professional organizations.